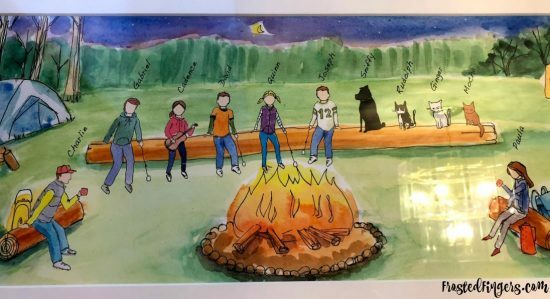 Note: I was given this campfire family art in exchange for my review. All opinions are my own. The longer I’m in my house, the more I realize I need to personalize it more. One of the things I want to add to our house is more art. 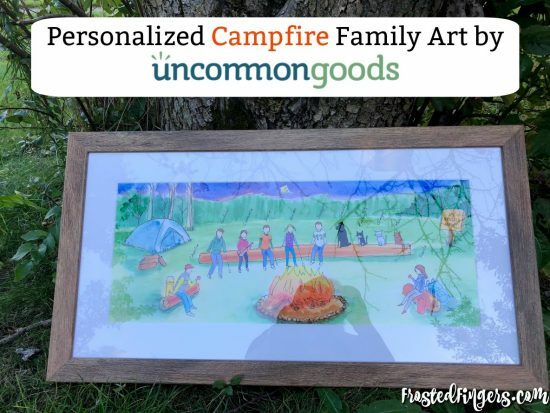 I found this personalized campfire family art from uncommongoods and had to have it! Our family is a big scouting family and we all love to camp. Maybe not the dog and cats, but I loved that in the art we could bring them along with us. There is a whole section of art on uncommongoods that you can personalize for your family. I just thought this fit so great. Eventually we want to move into an RV and travel the US. This is one piece of art that I want to bring with us when we do. Personalizing your art on uncommongoods is so easy and it’s fun! First you select how many figures you want in your art. Surely they wouldn’t have enough for 7 family members. Wasn’t I super surprised when they had a category for 8-12 figures! Then I got to pick what each person would probably wear and what I wanted them to hold; Ialso got to pick out hair color and add names. It was so fun and I was waiting on the edge of my seat for my campfire family art to come. The process was really fast. I placed my order on 10/2 and it arrived today, 10/17. 15 days to personalize art and get it to my house. I think that’s a win. 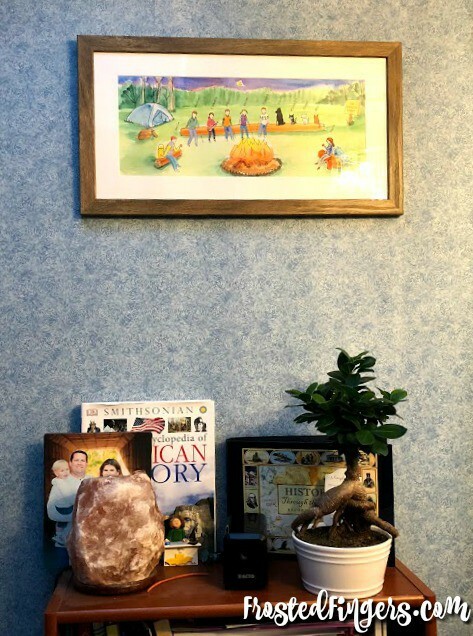 I put my personalized campfire family art right above our family homeschool shelf where we keep all our books for the school year. I’m in love with the way mine turned out and I’d love to personalize some art for family and friends this Christmas. I’d love to hear what you would get if you went shopping on the uncommongoods website. There are so many personalized items I would love for our household and some non-personalized as well.